The largest of its kind in Budapest, Heroes’ Square is a landmark of the city centre. It was built to celebrate 1,000 years of Hungarian civilisation and backs onto various important sights. Hungary was born when the seven Magyar tribes decided to settle in the Carpathian basin. This was in the 9th century. As part of the millennial celebrations in the 1800s, Heroes’ Square was laid. The Archangel Gabriel stands watch from atop the centre pillar, as a symbol of Hungary’s Christian heritage. Statues of five freedom fighters are nearby, having replaced members of the royal family when the Austro-Hungarian Empire was dissolved after the First World War. Also nearby are the Budapest Hall of Art and Museum of Fine Arts. 250,000 people gathered in the square in 1989 to commemorate Imre Nagy, a communist Prime Minister executed in 1958. 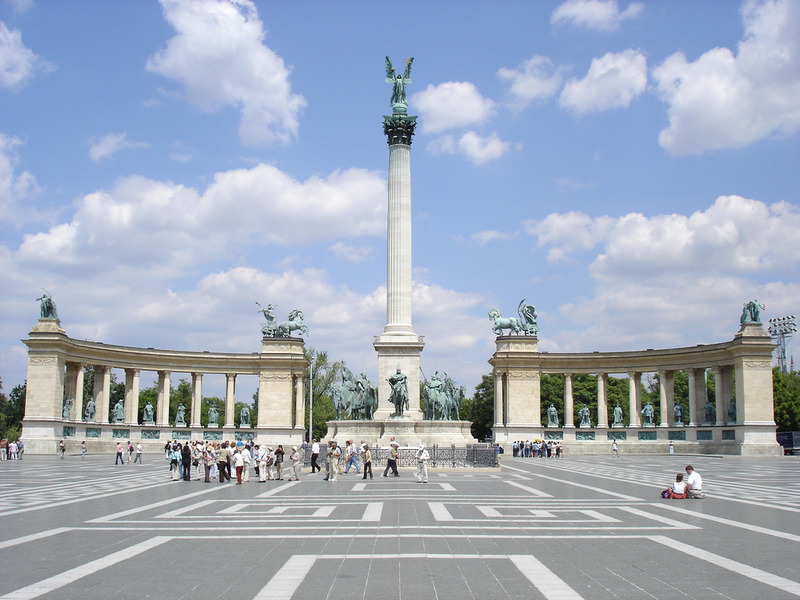 In short, Heroes’ Square is a great starting point for any cultural tour of Budapest. It even has its own metro station. For the depth and variety of its historical references, it can be compared to the Soviet Monument, also worth a visit while you’re here.